Thanking my lucky stars lately since I now have a bit more work to keep my busy hands busy but this new bit of business has slowed up my blogging. If you are longing for my snark and sassiness then you will have to wait a bit longer because it seems like my backhanded verbosity is on hiatus. Laziness will have to suffice and with that you will have to accept that I will simply post a synopsis of pictures that would have been and could have been blog posts chock full of my witty repartee. 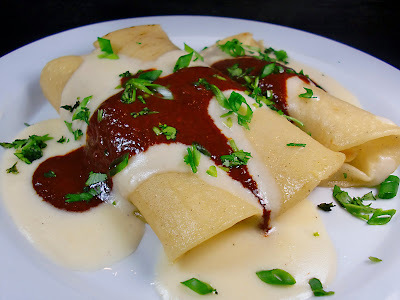 Take this Molé Poblano for example - imagine what I could say about it. Chocolatey, spicy goodness in an enchilada suiza cannot hardly get any better than this. 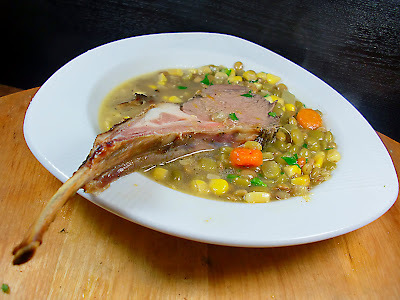 With more time I could go on and on about the sweet and succulent lamb chops dripping with the lamb unctuousness that only lamb can drip and with this extra time I could tease you with the curried lentils it is bathing in but lo I do not have even a spare second. Morels, specifically, need more of my time and attention and should not be treated like latch key kids with parents too busy to care but sadly this is their fate and this is their life. 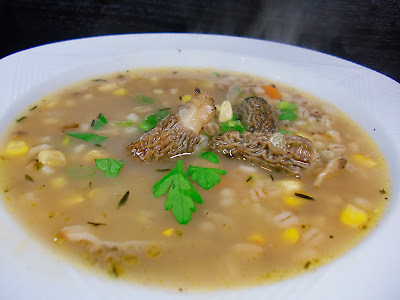 Morel mushroom barley soup is, by far, the best mushroom barley soup that exists. 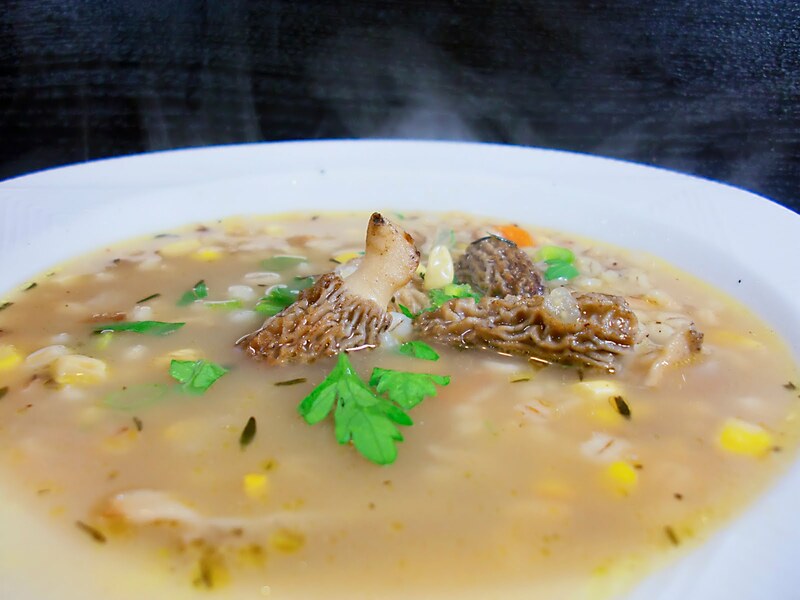 Steamy goodness with an earthy bite the delicate yet toothsome barley pearls give a good chew with the husky deliberateness of the morel mushroom. So with all my lagging and veiled bragging I did what I normally do - post pictures and write nonsense - so things are really not that different after all. Yes folks I am the first, the very first inductee into the Culinary Hall of Fame. Now isnt that something! Morel mushroom season is here again at last and I am fortunate enough to be a contestant in the MarxFoods 3rd Annual Morel Mushroom Challenge. Without further ado here is my entry. Reconstitute the dried mushrooms in the champagne. (reserve 2 mushrooms to slice and use as garnish) Saute mushrooms, onions and parsley in butter until soft. Add the champagne that mushrooms were reconstituted in and reduce until dry. Cool completely. 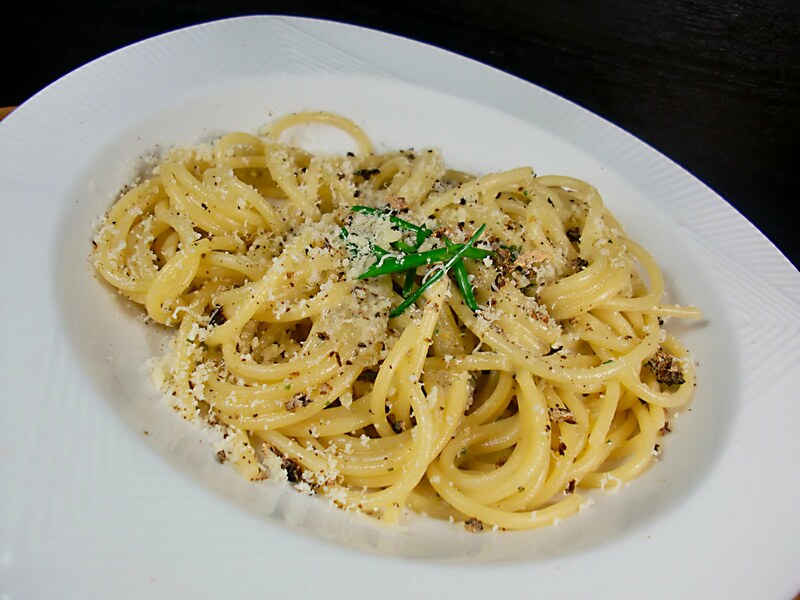 In food processor, combine mushroom mixture, Parmesan cheese and salt until finely chopped. In a stand mixer whip the cream to stiff peaks then fold in the cooled mushroom mixture. 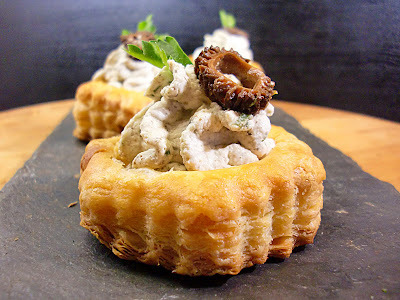 Pipe mixture into tiny tart shells or onto crackers. 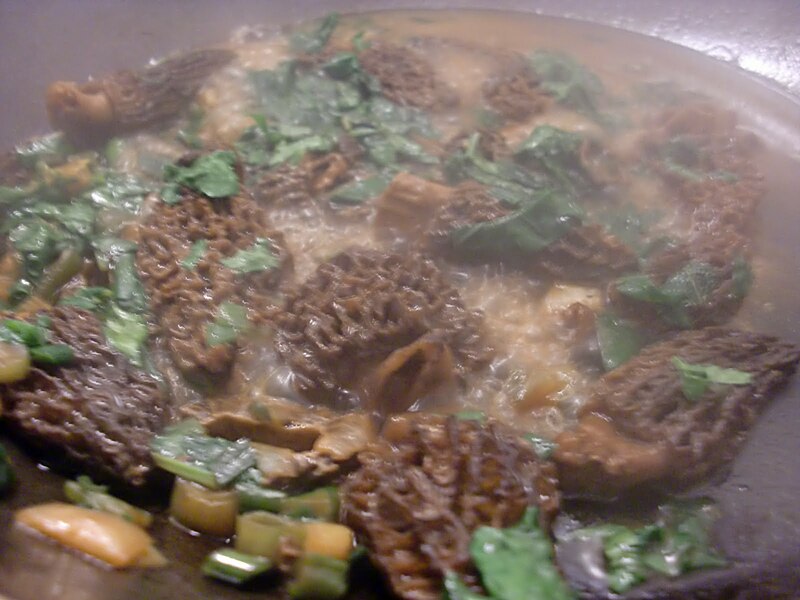 Decorate with parsley leaf and discs of sauteed morel mushrooms. 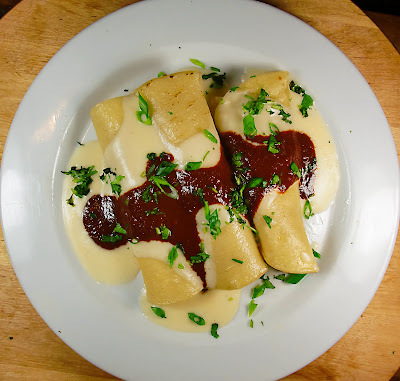 This mousse is equally good pipped onto some hot pasta for a new twist on the classic Alfredo. Makes filling for one dozen 2-1/2 inch tarts, or tons of crackers or a few bowls of pasta. 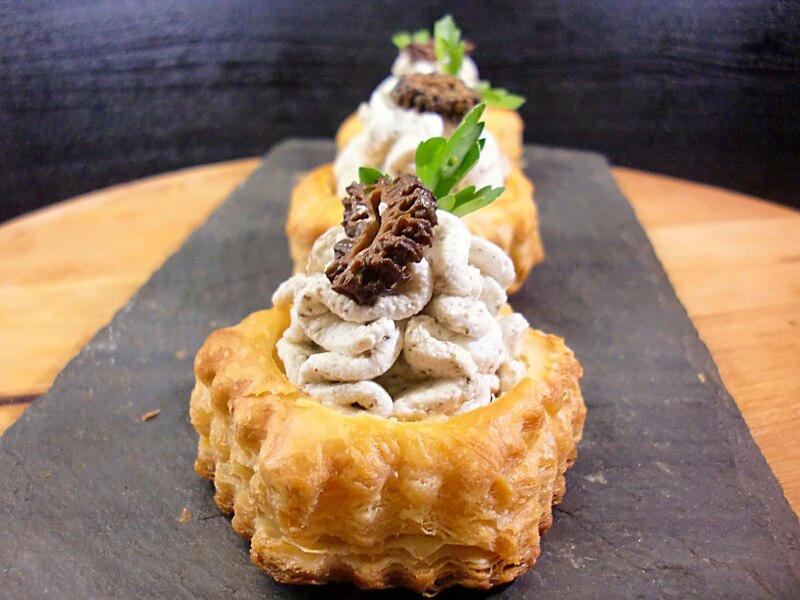 Light, rich, flaky and delicious - so good with a nice cold glass of champagne but you could also enjoy these with a sparking cider or even a nice dry pale ale. 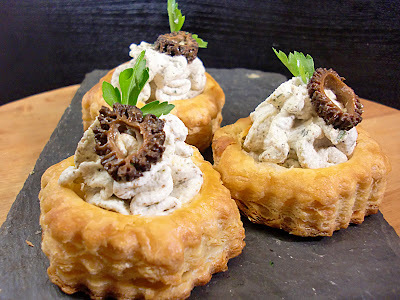 ......and while my entry is morel mushroom mousse in a puff pastry cup I thought I would further entice you with the idea of having it in pasta. Have you seen Migrating Feast? 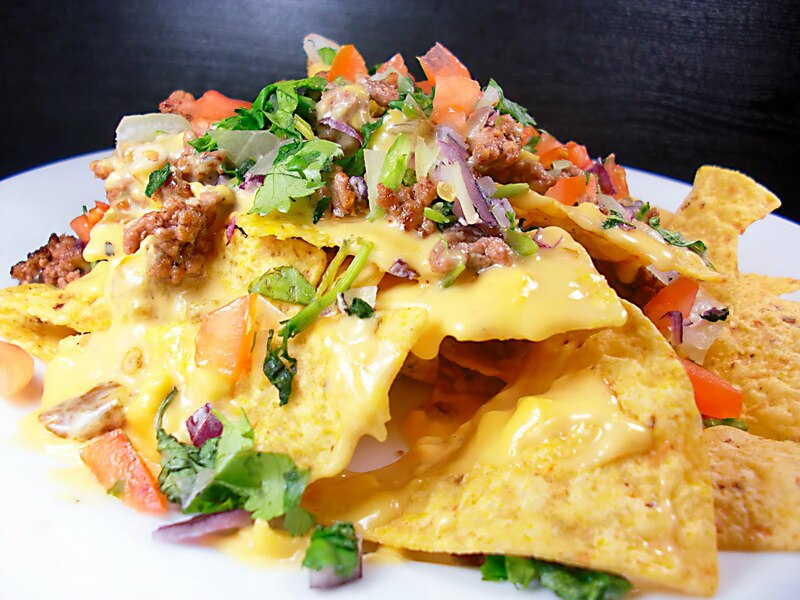 Very often and very regularly I make tortilla chips - "nacho chips with nacho cheese" as my son so adroitly calls them. 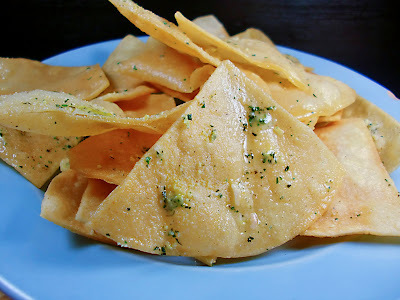 I fry the chips and glob on the goodies and the goodies are always different. Now what if there was a way to make good-better? Tostitos has come up with these lovely flavors called dip creations and being the creative sort that I am I used them to season my homemade chips and if you think the chips were good before then these are better. 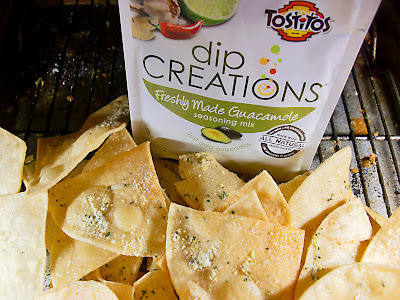 Chances are this is not how they had imagined that they would be used but trust me on this - it is a great way to add enormous flavor to your world. 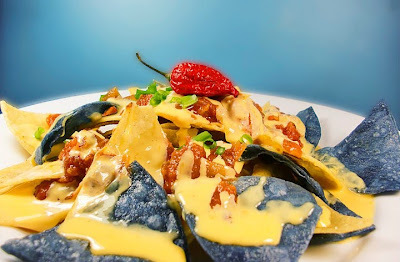 Fry up some chips sprinkle on the garden onion, country ranch or the guacamole and invite some friends to the party - it sticks to the chip and the chip went from the audition to the grammy's in one quick swoop. I received packets of these flavors free of charge from FoodBuzz and I was not paid in any way for my opinions. Win A $250.00 gift certificate to Churrascaria Plataforma for Mother’s Day! She gives you her best every day so give her the best of the best on Mother’s Day! Enter to win a $250.00 gift certificate for a Mother’s Day meal at NYC’s best Brazilian Steakhouse with our sizzling dinner menu served all day. Enter to win (below) to celebrate Mother’s Day on us! I was not paid or compensated in any way to make this announcement. 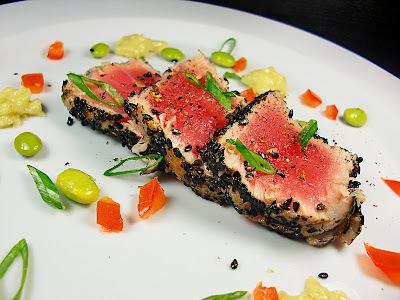 Lets not get confused here - it all does come back to me - in the land of Narcissus and his world of blogging we are all his disciples and that is where we get to the tuna. 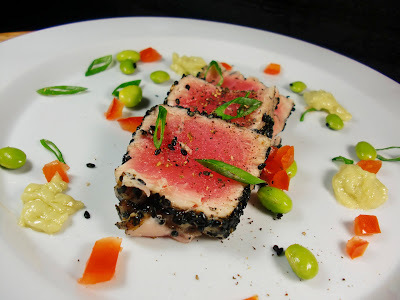 This is black sesame seed crusted tuna with wasabi mayo and edamame thats about the extent of it. Now lets get back to me.